This package contains two (2) items. 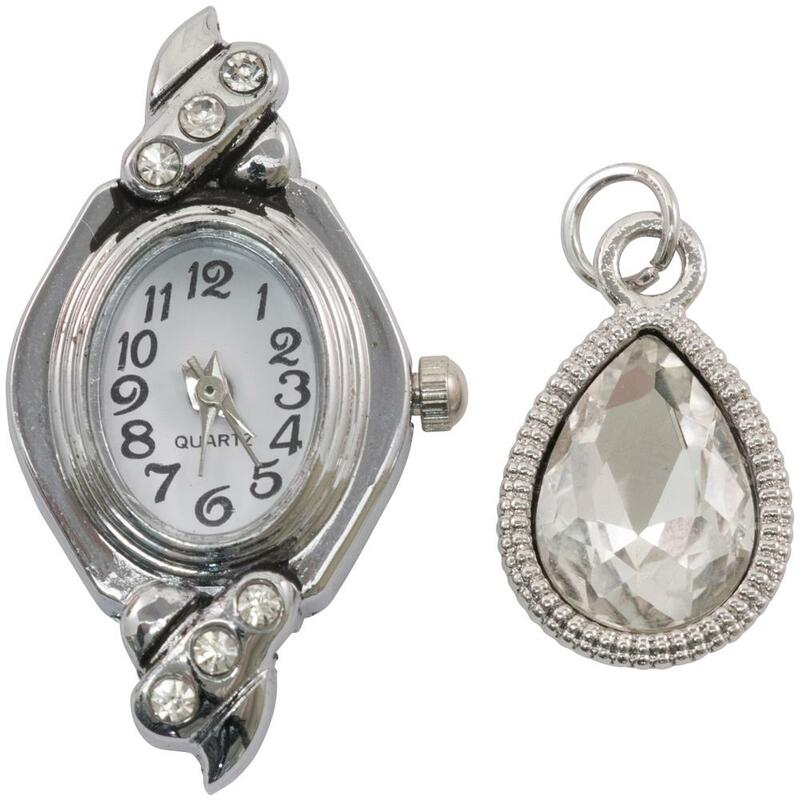 First, there is a Watch Face and second; there is a large Gem Droplet. Both items are in Silver. Part of the Assemblage Collection by Tim Holtz / Ranger.